The NBA G League is the NBA’s official minor league, preparing players, coaches, officials, trainers, and front-office staff for the NBA while acting as the league’s research and development laboratory. Featuring 27 teams — all with one-to-one affiliations with NBA franchises — in the 2018-19 season, the league offers elite professional basketball at an affordable price in a fun, family-friendly atmosphere. Read below for more information on the NBA G League. The NBA G League will feature 27 teams during the 2018-19 season, adding one expansion team in the Capital City Go-Go. The Capital City Go-Go will serve as the exclusive affiliate of the Washington Wizards. In 2019-20, the New Orleans Pelicans will debut an expansion team in Erie, that is estimated to be relocated to Birmingham, Ala. for the 2022-23 season. Who are the best players ever to play in the NBA G League? 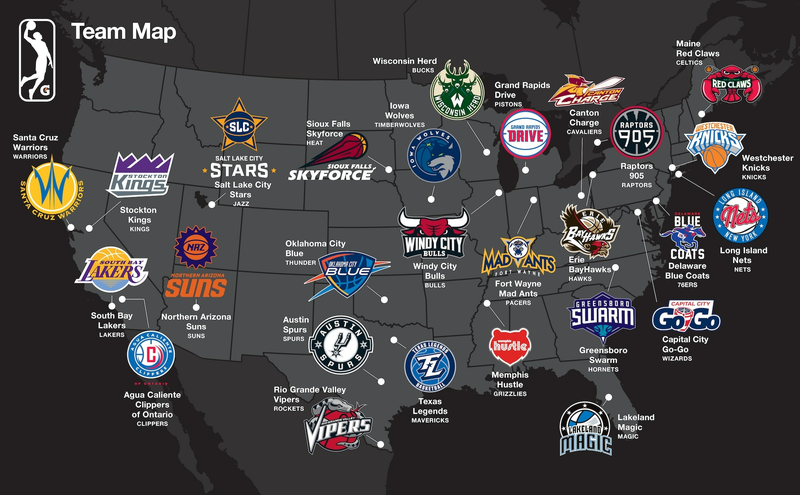 What is the relationship between NBA teams and their NBA G League affiliates? How can I watch games? Answers these questions and much more on our Frequently Asked Questions page. Get your calendars ready and take a look at the dates to know in 2018-19, from NBA G League tryouts through the NBA Summer Leagues. Prior to the 2018-19 season, the NBA G League announced a Select Contract as part of a comprehensive professional path that will be available, beginning with the 2019-20 season, to elite prospects who are eligible to play in the NBA G League but not yet eligible for the NBA. The contracts, which will include robust programmatic opportunities for development, are for elite players who are at least 18 years old and will pay $125,000 for the five-month season. Beginning with the 2017-18 season, the NBA Development League (NBA D-League) was renamed the NBA G League as part of a multiyear expanded partnership between the NBA and Gatorade. This marks the first time a U.S. professional sports league was named an entitlement partner. 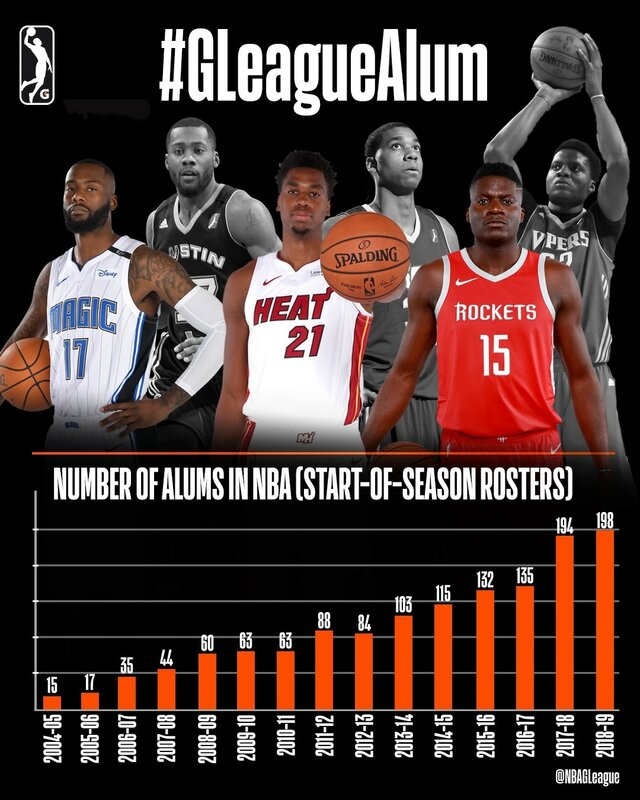 When 2018-19 tipped off, an all-time high 40 percent of players on NBA start-of-season rosters had NBA G League experience — 198 of the league’s 494 players. That figure has more than doubled in just the past six seasons. 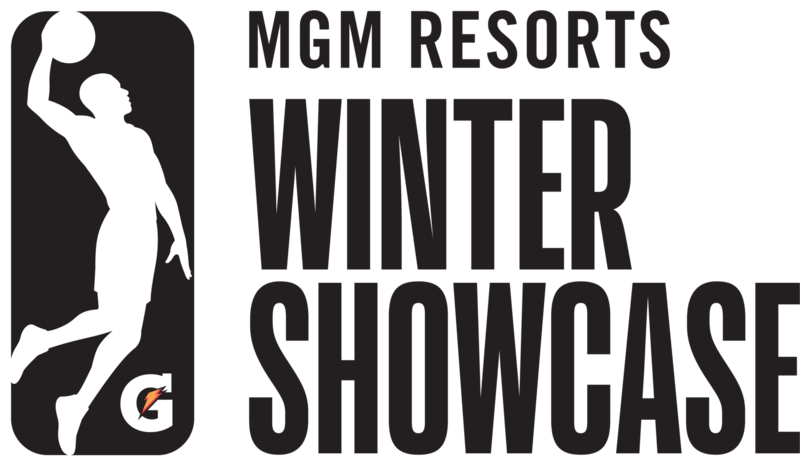 Showcase is the NBA G League’s annual in-season scouting event, when all of the league’s teams converge in one city to play in front of NBA general managers and player personnel executives from all 30 NBA teams. The 2018 event — Dec. 19-22 in Las Vegas, Nevada — marked the 15th Showcase. Prospects who have turned heads in Showcases past include Houston Rockets center Clint Capela (Rio Grande Valley Vipers), Utah Jazz center Rudy Gobert (Bakersfield Jam), Milwaukee Bucks guard/forward Shabazz Muhammad (Iowa Energy), Houston Rockets guard/forward Gerald Green and Brooklyn Nets guard Jeremy Lin (Reno Bighorns). Players take a variety of paths to the NBA G League as they push toward the NBA. Learn about the nine different paths a player can take to an NBA G League roster, which includes Two-Way Players, Returning Players, Affiliate Players, Local Tryout Players, NBA G League Draft Picks, NBA Draft Rights Players, NBA Assignees, NBA Draft-Eligible Players and Free Agents.